There are about to be some very well dressed children in your life because Joanna Gaines is launching her own kids' apparel collection with Matilda Jane Clothing. The line launches June 1st, so get ready in case they sell out quickly (Instagram followers are already suggesting the clothing company upgrade its server to handle the anticipated traffic). If you're feeling a little deja vu, don't worry, it's not you. This is actually Gaines' second collaboration with the brand best known for its adorable ruffled leggings and sundresses for girls. "My girls have been wearing MJ dresses, skirts and accessories for years," Gaines said when her first collection with the brand launched in late 2016. "I never get tired of seeing them love what they wear." 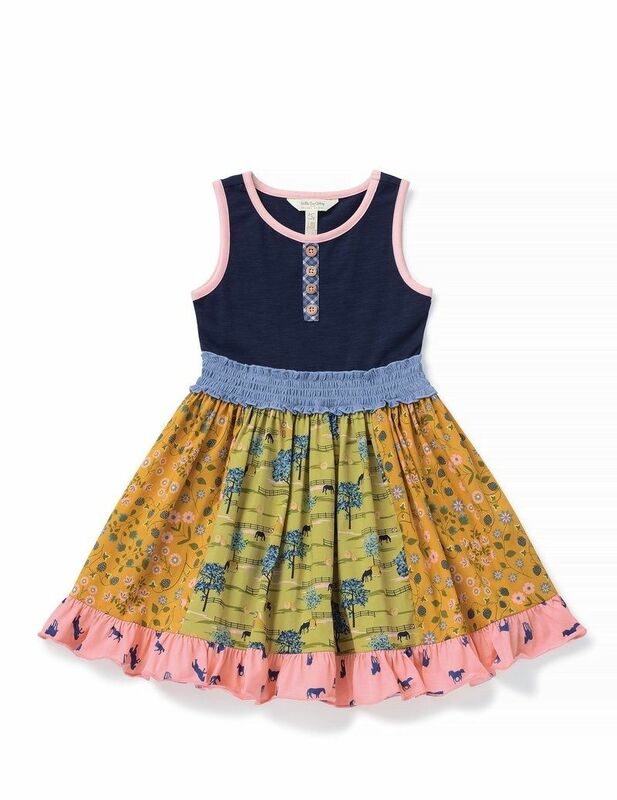 An impossibly cute girls dress from Joanna's Summer Collection for Matilda Jane. While Jo was focused on fashion for her girls back then, the new collection may have been a bit inspired by the little boy she's currently expecting, as this one includes clothes not just for girls, but mamas, boys and dads, too. Baby boy Gaines doesn't get all the credit though: Most of it goes to the family's home. 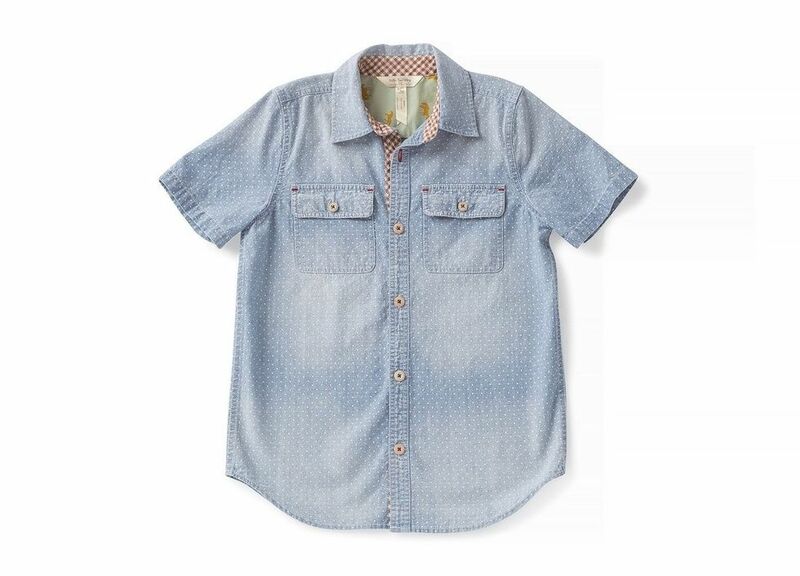 "The whole inspiration for this new collection was summer here out on the farm. The long days, the hazy sunsets, kids running around just being kids," Gaines said in a press release announcing the new collection. "The whole idea of being inspired by life on the farm is really rooted in an effortless, easy going lifestyle, and that's the feeling I hope people have when they're wearing these pieces," she said. Can't wait to see what Jo's done this time!